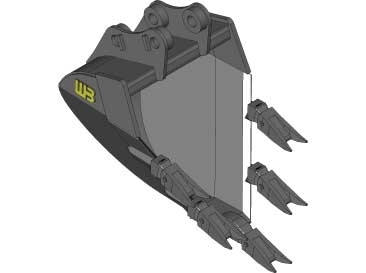 Werk-Brau's V-Line Rock Bucket is designed for excavating frozen ground or layered rock. The V shaped design enables the machine to exert all of its force at a single point. 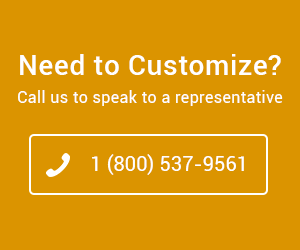 A extra-severe duty model is available for heavier applications, involving tougher and more abrasive rock. These kinds of buckets can also be used for moderate prying. T-1 steel is utilized in all critical or high wear components. 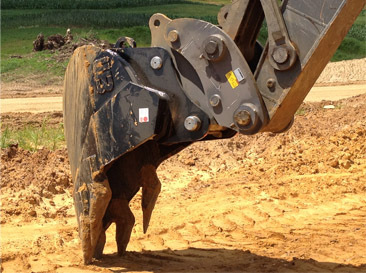 Oversized cutting edges ensure long life in severe conditions. 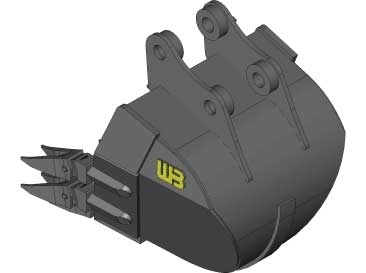 This bucket features steel walls thicker than other buckets, with heavily reinforced wear areas. Each bucket is engineered with tapered side plates to reduce wear on the buckets sides, and to allow for easier dumping. Twin pointed teeth are set in a manner to provide maximum penetration. A variety of teeth options are available for this bucket. 3.4 cu. ft. to 9 cu. ft. of various widths available. Special widths are available upon request.